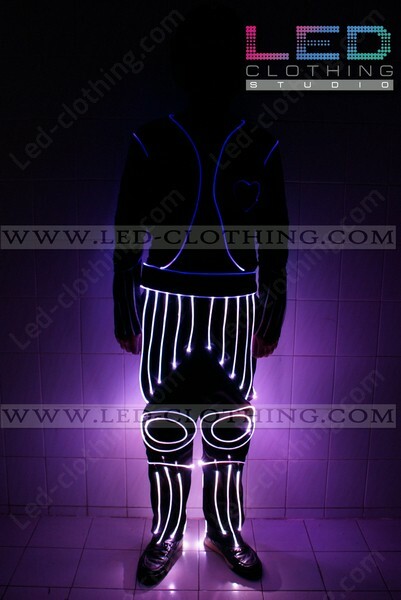 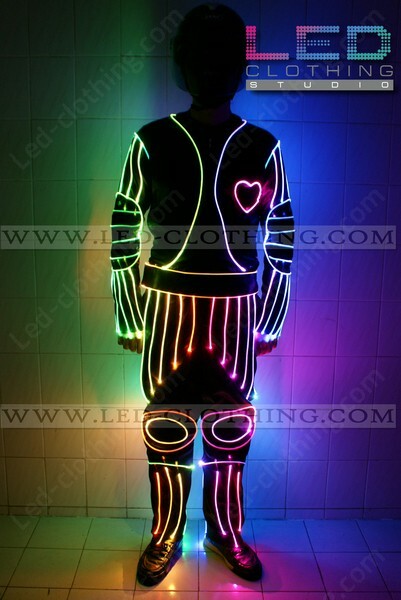 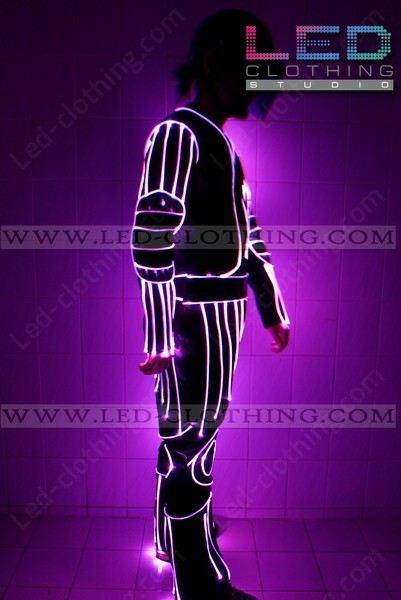 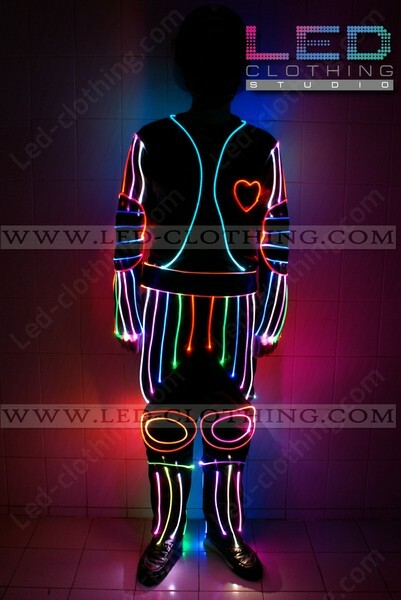 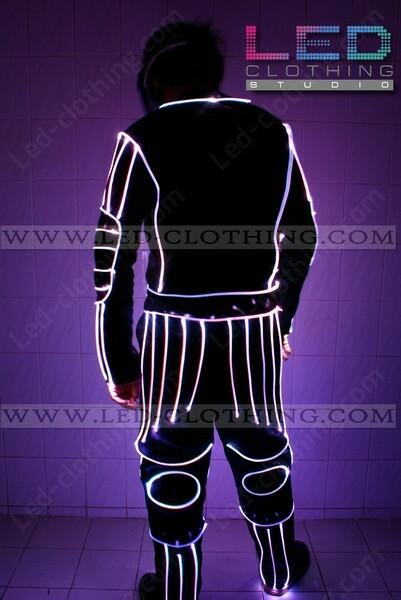 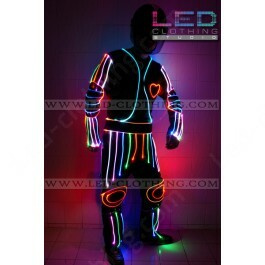 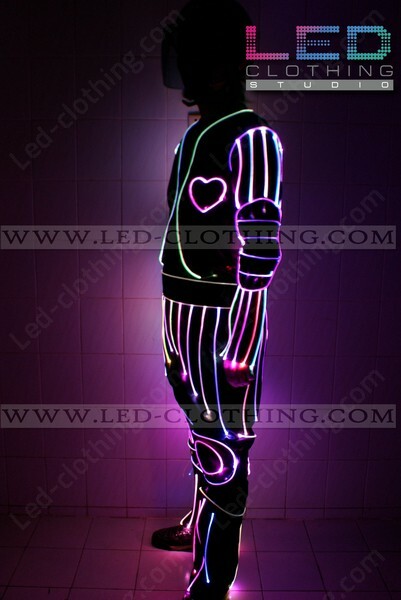 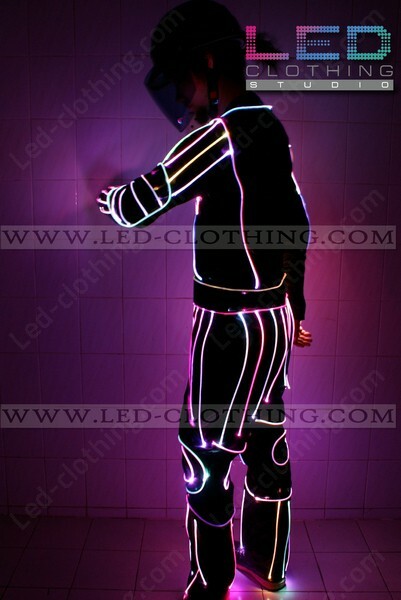 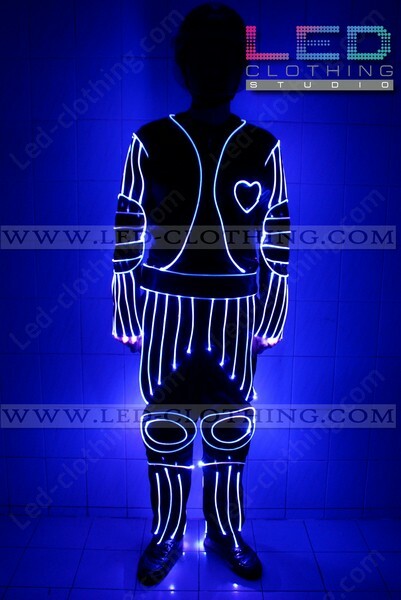 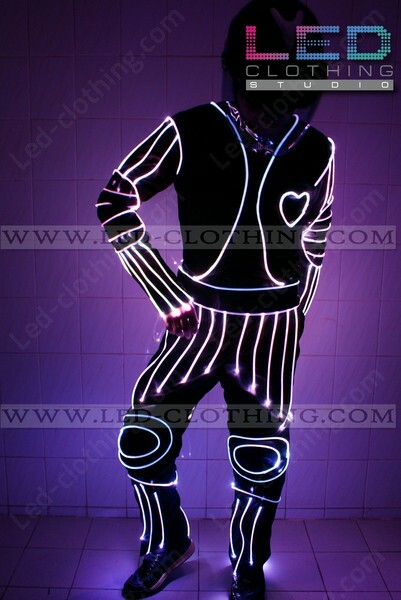 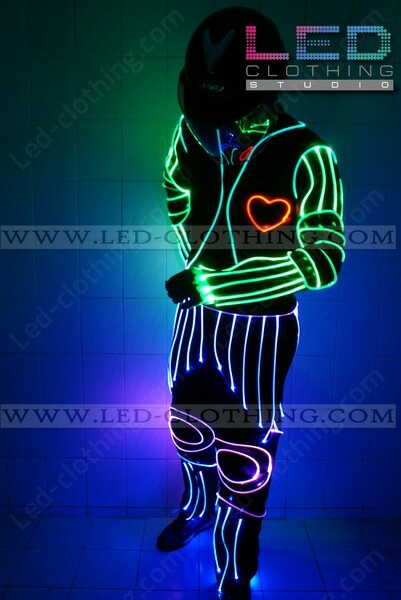 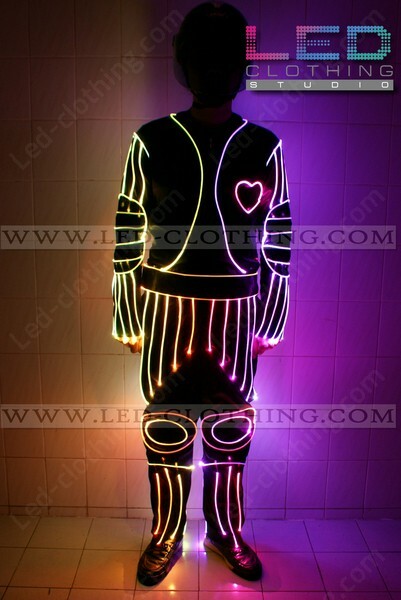 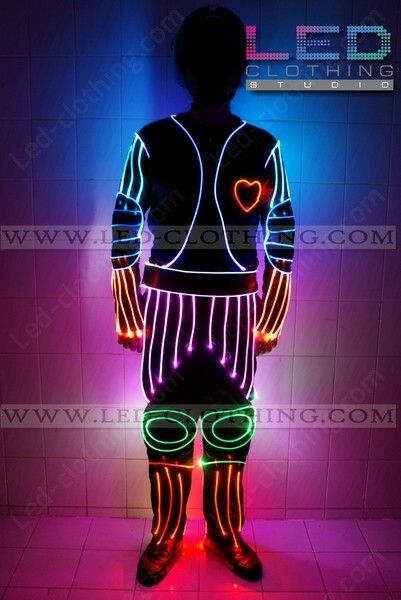 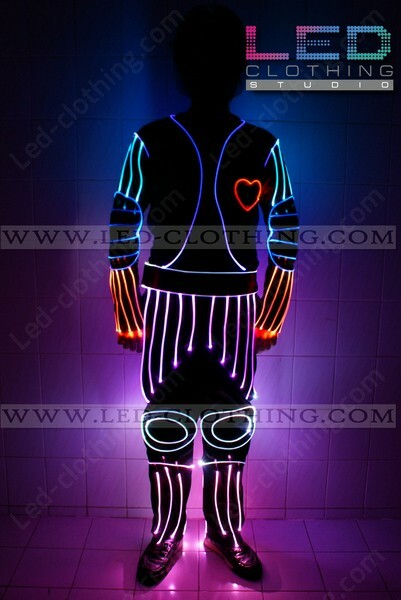 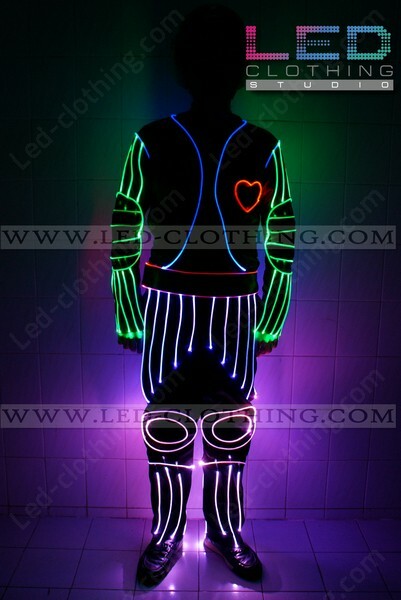 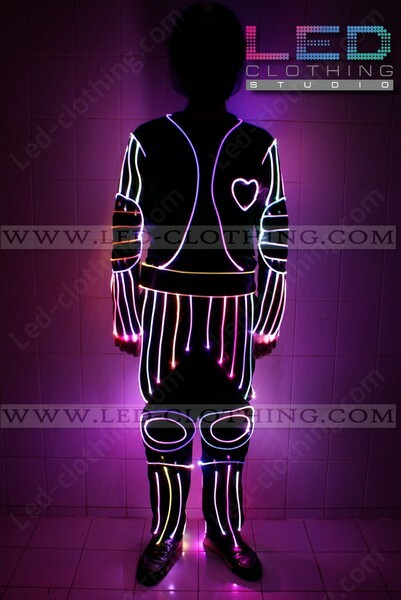 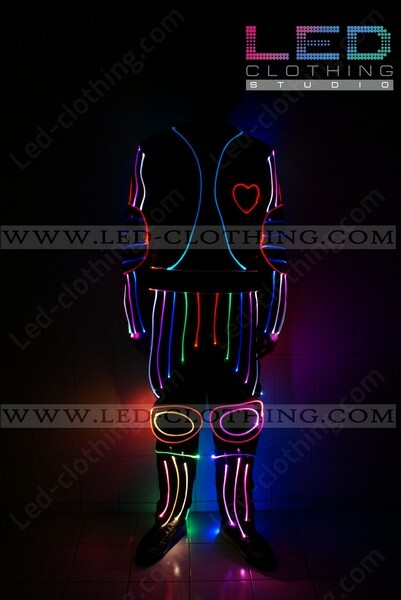 Heart-beat LED dance costume | LED Clothing Studio Inc. 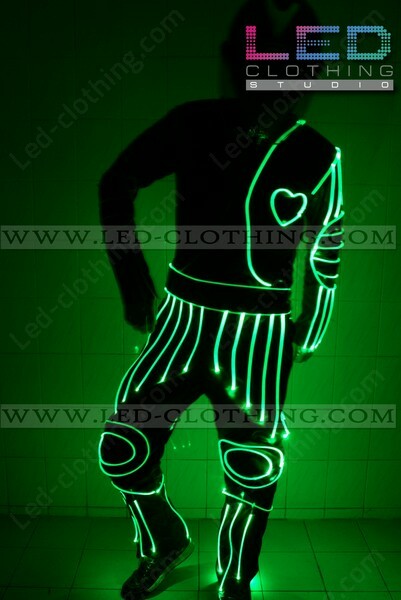 Designed for dance masters and those partial to luminous effects this costume features high-end quality fiber optic streamlining the figure. 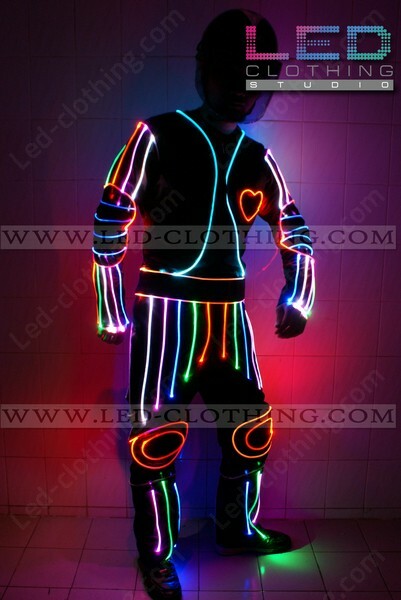 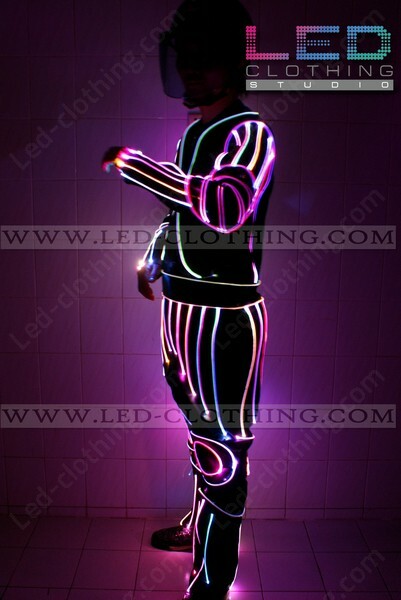 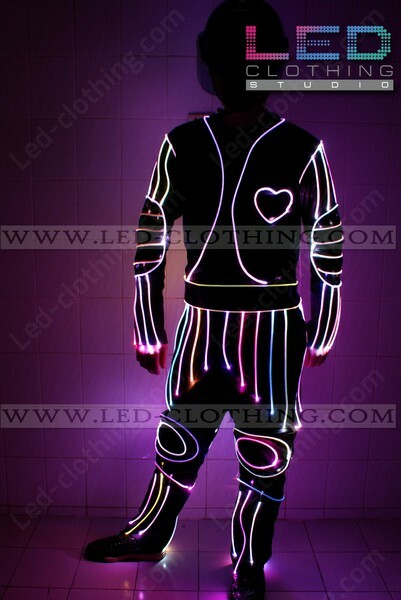 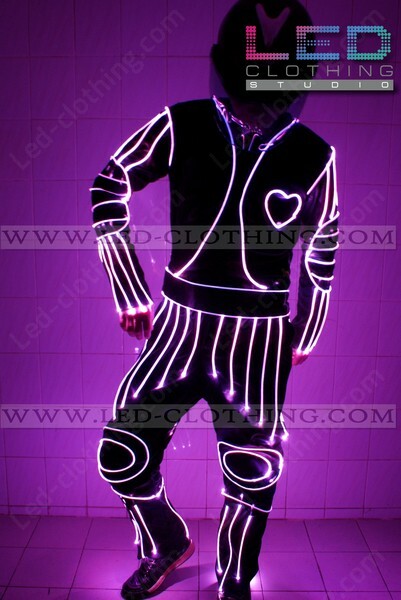 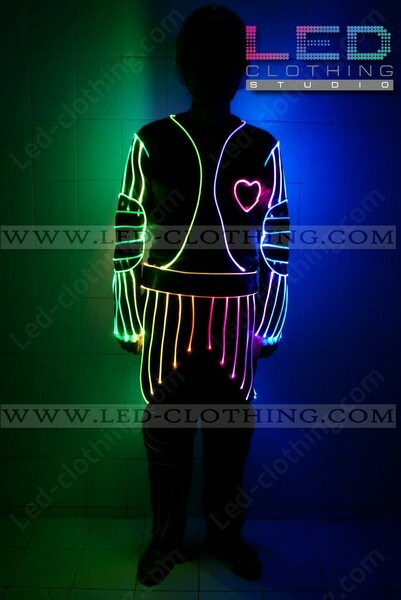 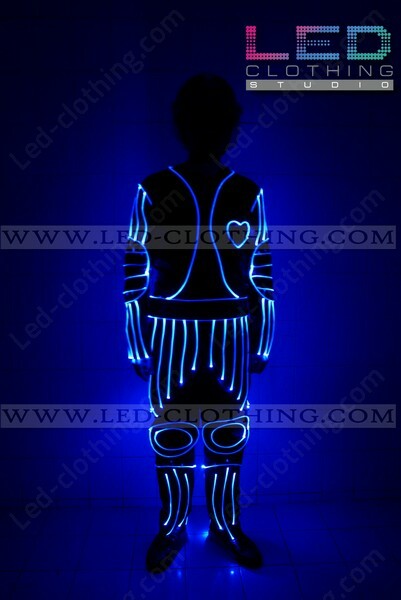 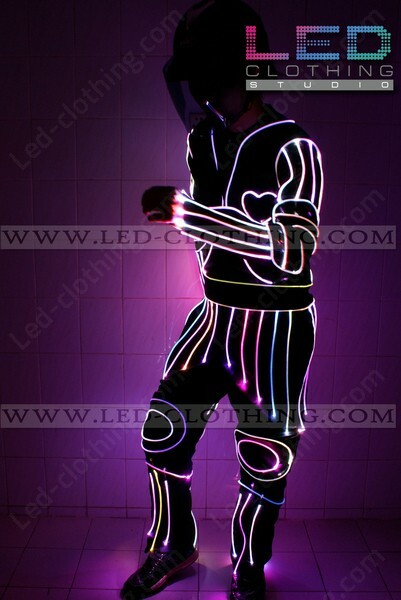 In our heart beat LED costume you will get noticed and discussed in a heart beat, for nothing entertains more than a heart–illuminated man dancing in the dark. 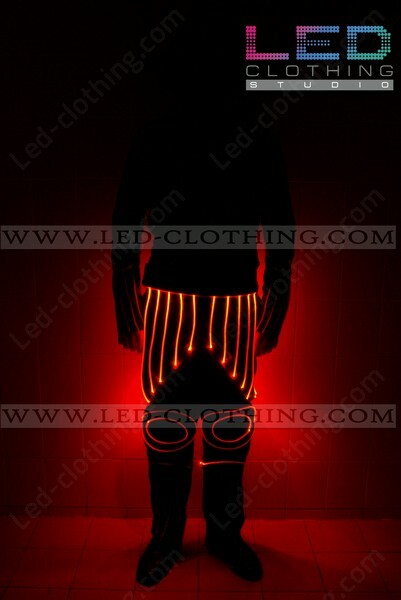 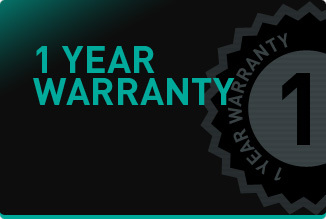 Choose your luminous pattern setting and leave the rest to the dark, fiber optic in the dark will do the trick. 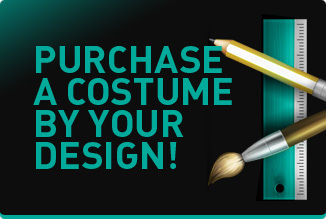 Suit your dance up!